Last night I went to put my LO to bed and I said, "tomorrow is Vikas ajoba' birthday. Will you make a card for him?" "Hmm", she thought for a while and said "How about you making him a card?" "Uh?" I wasn't expecting this. "I will share card paper, brush pens & sketch pens with you. May be even crayons if you need. ", She added. I didn't have any reason to refuse. Happy birthday Papa ! May your life be full of happiness and laughter ! We got a note from school on celebrating World Book Day. As a part of the celebrations, kids had to dress up as their favorite character from a book and talk about it in the class. Without a blink, my girl picked up "Room on the Broom" and declared that she wanted to be the witch. And why? "Because she is a kind witch. And you know Mumma, she also looses her things like I do. And she has friends who help her find her lost things and save her from the dragon. Even my friends are like that." I was taken aback by her correlation and gave in. This witch from "Room on the Broom" is easy to dress up but this video from Little Button Diaires made it easier. We used things available at home to dress up - Her blue frock (instead of witch's skirt), red t-shirt for the top, granny's back dupatta for cloak. We made the hat from black chart paper (laying around for months) and the plait from orange wool as per the video. My girl made the witch's wand from used milk straws and felt stars. We were stuck a bit on the broom ... "should we attach a big stick to the broom?" "will it be heavy for her to carry?" "what if we skip the broom?" ... finally thought of making a broom just for representation and we made an origami broom using newspaper ! It was fun preparing all this. Thankfully it didn't take anything more than an hour a day for two days to make all these. We tried the costume with all accessories last night to ensure that it doesn't hamper her movements ..."Mumma this is an important instruction from the school. We have to follow it." My LO seemed satisfied with it all. Just as I was readying her to sleep, "Mumma ... we forgot to make the brooch!" "The witch's brooch.. She wears one.. yellow flower with a green dot one on her cloak. Wait let me show you." And yes ! I didn't notice it before. Wow! when did she grow up to solve a problem on her own?? As she came back today, I was excited to hear how the day went by. She told only older kids were asked to talk about the character they had dressed up in. She learned a lesson - to ask if she wanted something. She was super happy as she was the only witch and everyone recognized her as that! Seeing other kids today, some forgotten characters came back to us like Cat in the Hat, Clifford, and Dory. This dress-up event meant we read the book over and over... observed the characters... talked about the story. We also thought about which character could be represented using reusable stuff. And we crafted together... All-in-all a wonderful thought and time well-spent. Do get a copy of this wonderful book by our favorite author Julia Donaldson and also watch the movie here. March is "Read-aloud month" and we have been reading-aloud (and blogging about it) every day in this month for last two years. We are back to doing it again this year. Since I missed putting up the posts for the first few days, this is a summary of all that we read so far. 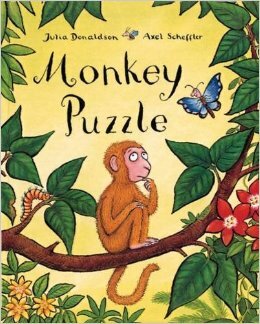 We started the series with "Monkey Puzzle" - an adorable Mother-Child book by our favorite author Julia Donaldson on March 1st. 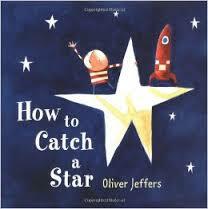 We read yet another favourite author Oliver Jeffers in "How to catch a star" on March 3rd. Another Oliver Jeffers book followed on March 4th - "Lost and Found". We just love the little boy and the penguin. 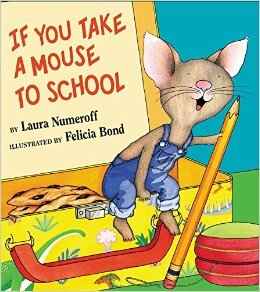 Next was "If you take a mouse to school" again by Laura Numeroff on March 6th. She asked me to read this one while she closed her eyes. I had to describe the picture to her on every page as I read. When I asked why this way... "I want to imagine the story in my head" ... wow ! It was an interesting way to read the story. That is the round-off till now. Hoping to do one post a day going forward. I'm often asked if there are picture books in Marathi or which Marathi books are suited for toddlers and preschoolers. While I'm no expert on this, here are the books we have and we love to read these over and over with a short review. This is a series of six books about Yash - a preschooler and happenings around him. I reviewed it here. These are our all-time-favourite books. Best suited for 1-4 year olds. Radhacha ghar is yet another set of six books from Madhuri Purandare. Each book is focused on one member of Radha's family like Grandma (aaji) or Grandpa (nana) and her relationship with them. Radha tells you what she likes or doesn't, what she does with or for that member. This is a wonderful set to talk about relationships to preschoolers especially when not every one is around. 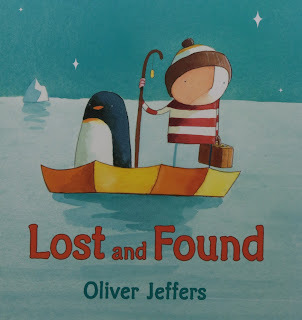 We read this for the first time when Kuhu's grandparents were away and she was missing them. This book is about preschoolers picnic what they see and experience. This is a read-and-color book. All pictures are black and white and left for the reader to color. Lovely first-experience read that lets you fill it with your own colors. Best suited for 2-4 year olds. This book is written by a teenager - Pranjali. That is the first thing I liked about this book. 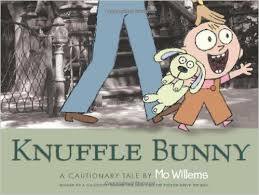 It is a nicely rhyming book about Teddy's adventure to meet his friend Buddy. This one is for all those homes where everything starts with a "No!". We just love this book to read and enact. Best suited for 2-3 year olds. This is a bilingual book about tiger cubs and the dangers they get into while mumma tiger is not around. This has minimal words and catchy illustrations. Best suited for 1-3 year olds. This book talks about how a tree is born. Bold print, black and white illustrations giving kids a chance to color themselves and rhyming text are a hit. We read this under a tree, plant a seed and watch it grow. Love it ! Recommended for 2-5 year olds. This one takes us on a tree's journey from seed to fruits month-on-month. The text is rhyming and lovely black/white illustrations left for kids to color are appreciated by the kids aged 2-4. This is an addition poem that you can sing to the tune of famous भोंडला song "एक लिंब झेलू बाई दोन लिंब झेलू" ! What better way to teach maths ! This book is yet another "read and color" one. There is a subtraction book too. Part II of this post will be a list of read-aloud books in Marathi for 3+ year olds. Stay tuned. On day 30, We got new Charlie & Lola books from Veena Aunty and we jumped over to read those... "I am really really concentrating" and "I am too small to go to school ". Charlie and Lola are an adorable pair. We love them. We re-read these and yet another book of this duo - "But it is my book" on day 31. And yessss ..... we did it - reading and recording our reads for all 31 days of March. Although we started to participate in a contest, I missed updating on FB everyday. But that worked in my favor as I blogged pretty regularly in March. Hope I continue. Thanks to all the readers who read the posts and encouraged us. Reading on day 28 was fun because we were joined by Kuhu's cousin Shubhankar. He just loves to read with us and Kuhu was happy to let him pick the books... 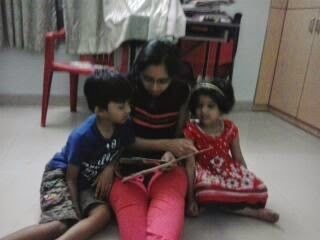 So we read "Dippy the Duckling" and "Dipsy Dancing" at Uju aaji's place quickly before getting back home. "Dipsy Dancing" is a book based on TV Series Teletubbytown. Shubhankar and Kuhu enjoyed enacting Dipsy, La-La and all their friends. Day 29 was T&J's (Kuhu and Shubhankar's cousins - next-gen Kashalkars) thread ceremony and we had a busy day there. Both Kuhu and Shubhankar were tired by the time we left for home so I thought we might have to skip reading today. Just as we got to Uju ajji's place, Shubhankar said - "मावशी lets play Alphabet-Housie and then read". Since Shubhankar had to travel back home, we agreed on skipping housie and just read. We pulled out "Cool Cars" and "Stories for Children". On Day 24, Kuhu read "कंटाला" from Yash series and "if you give a moose a muffin" with aaji. 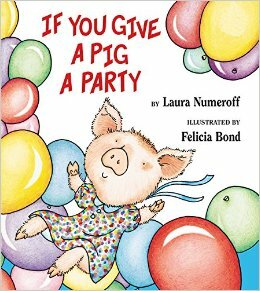 On the 25th day, we read "if you give a pig a pancake " and "if you give a pig a party". Day 26 went by reading 5 books from "if you give" series. We are in love with this series. Just before we hit the bed, we had a family-reading of "Spring Surprises". For day 27, we wanted to read a birthday book for it was Uju aaji's birthday but decided on having some party with the pig with a read of "if you give a pig a party".